Dear Lucky, we can't thank you enough for arranging our very special day. For me it was the most beautiful day in my life. Lucky managed our wedding exactly as we wished to every detail. Some things were even better than in our imagination. Also his suppliers were great: photographer, hairdresser/makeup, florists and the restaurant he chose for our wedding dinner. Everyone was so kind to us. Our wedding could not be better. And the ceremony was breathtaking. We can recommend Lucky to everyone who want really enjoy their very special day with no worries. A big thank you to Lucky and the entire team at ‘Our Wedding Sri Lanka’ for helping create such an amazing experience for all of us. The wedding in Sri Lanka was beautiful all thanks to Lucky and the team. Lucky was responsive, reliable and trustworthy throughout and we are grateful to have found him. He has a good network of suppliers, and managed to give us options to match our budget which many planners don’t do. He jumped through hoops to accommodate all our requests till the end, which was amazing. My dream wedding”. One of the things which i have always wanted. Ever since we decided to have our wedding in Colombo I was searching wedding planners online and messaging via FB .Lucky was the first to respond with great enthusiasm. I simply showed a picture to Lucky and blindly trusted him .He knew exactly what I wanted. ­­ Even despite of all these I was a bit concerned on how the wedding is going to be like. But Guys!! It was magical! When I reached the venue and saw the backdrop, the tables, the beautifully designed and decorated marquee, the mood, the lighting and ambience, food and omg the cake!! It was totally overwhelming much more than I imagined, we could not be happier with how he turned our vision into a reality, it was pure perfection. We received several great comments from friends and family on how beautiful everything was. Thank you for creating amazing memories that we will always cherish! All i can say is that “My dream wedding “has come true and I couldn't have asked for a better planner, Lucky is worth every single penny and will make your planning process so much easier. I would recommend Lucky and his team to absolutely anyone! 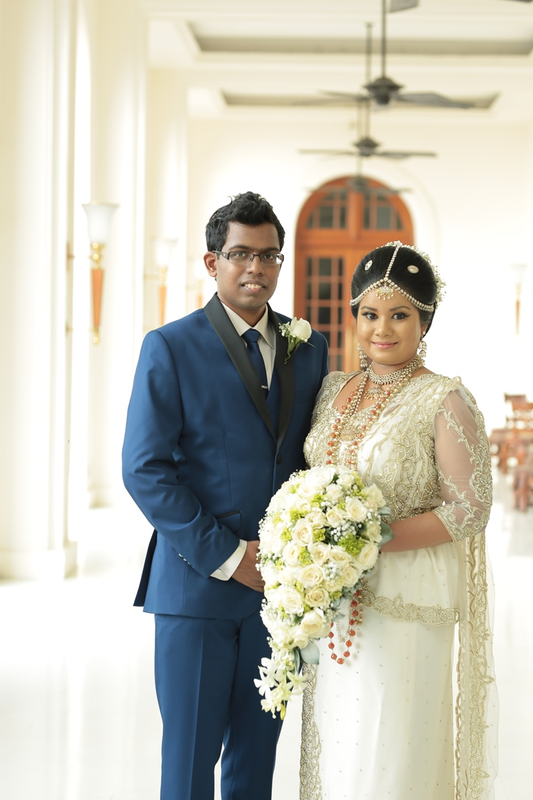 I reached out to Lucky of Our Wedding Sri Lanka without any prior recommendation. But out of all the inquiries sent to planners, he was the only one who responded promptly and asked for further details, providing timely feedback. 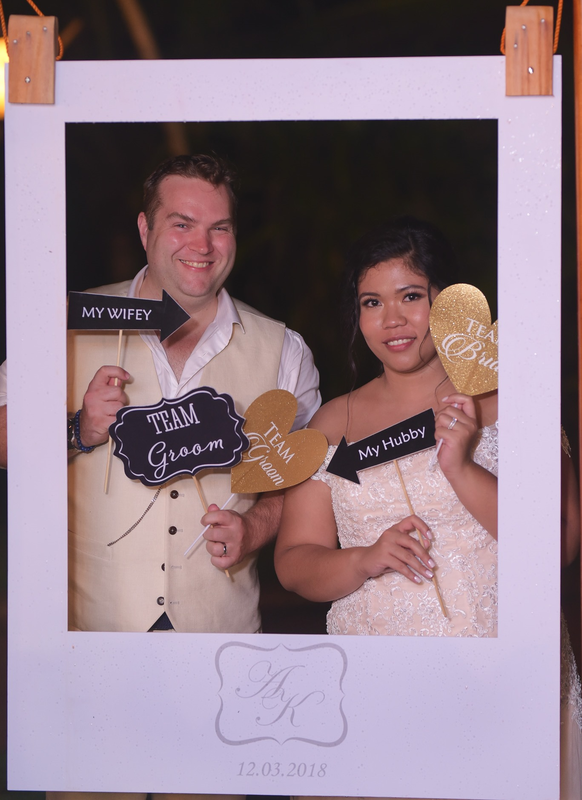 It was one of the best decisions we made during this wedding process to book Lucky and the team because it made a significant difference to the entire event. We booked him for wedding day coordination, but he made sure to ask for every minute detail, from all the details of all the suppliers to what type of shoes the bride was wearing. Once we provided all the information, there was nothing more to worry about. He visited the hotel with us for the last meeting and was sure to help us with any clarifications. Each and every vendor was contacted by Lucky several times upto the leadup to the wedding day. He had a good rapport with all and also the hotel. This helped us and our families focus on the more important and intimate details of the wedding. All seating plan layouts were provided and we just had to fill them in. He took care of the rest. On the wedding day, he was the first to arrive at the hotel early morning and coordinated everything. From contacting the vendors and reminding them to arrive on time, making sure the cakes, DJ, flowers and decor were all in order, to informing me, the groom (who was arriving later) of all the changes that took place during that time. Everything worked like clockwork and we didn't even have to lift a finger or stress on what to do next. Because we were directed accordingly. And he had the ability to work to include all our requirements and changes until the last day, and is very flexible. The function went without a hitch and we moved through the schedule with ease without even knowing. There were many positive comments by the guests about the handling and organisation of the event, and all credit should be given to Lucky and the team. The Going Away was especially praised because one bridesmaid collected flowers petals from the tables and handed over to the crowd, which made for a really memorable end. When we asked her after the event, she said that it was Lucky who instructed us to do so. It's these little thoughtful additions that make Lucky stand out from the other planning companies. 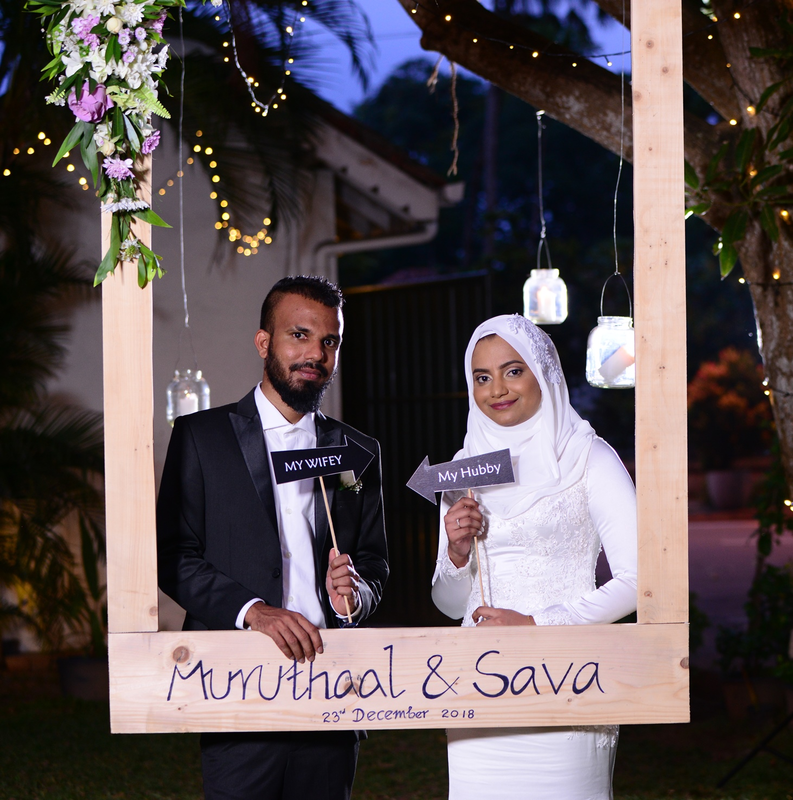 We highly recommend Our Wedding Sri Lanka without any hesitation and thank you for making our very special day a success. This couldn't have been achieved without your assistance. The service provided was absolutely worth every penny and even more. We hope to contact you for any other events we hold in the future. We can not thank Lucky and his team enough for the excellent job he did when organising our wedding. In the months leading up to the big day, Lucky worked incredibly hard to make sure that everything was exactly how we wanted it. He was always in touch and sending us updates as he spoke to various vendors in order to make sure we were happy. He was very flexible and worked to our budget which was much appreciated. In the week before the wedding he was very hands on and made sure that everything was arranged, and even came up with alternative plans should rain have disrupted our beach wedding. Once the day came around he was absolutely fantastic and made sure that every single detail was looked after. The whole day could not have gone more smoothly and all the little touches he recommended made it even more special. Lucky and his team really made sure it was a day we will never forget. 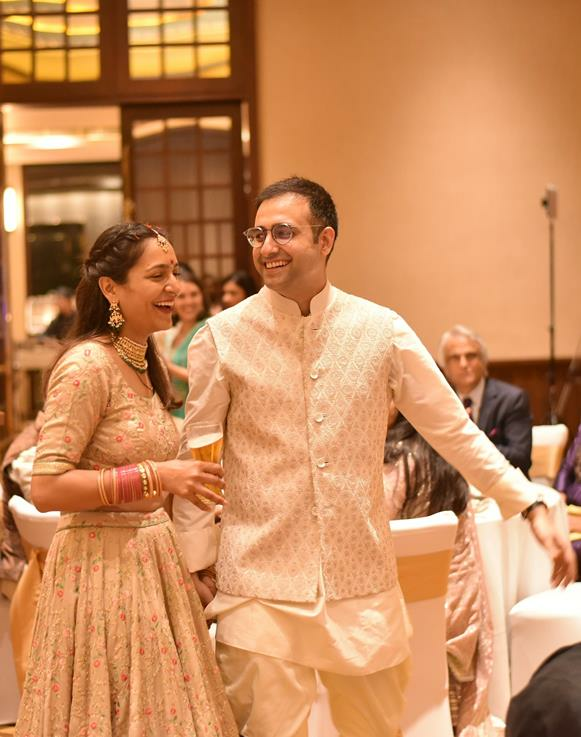 Thank you seems so inadequate but thank you so much for the beautiful wedding you arranged for us and the amazing job you and your team did on 13th of February. It was just the way we wanted it. You had everything running like clockwork and I didn’t have to worry about a thing. You did a great job and We had a great day so everything worked out as planned. Thank you, thank you, job well done!! Dear Lucky, Thank you for all you and your colleagues hard work to make our wedding day just as we wanted. You did an amazing job and made the event a very relaxed and memorable event... even in the gusty wind. Great emails throughout to make co-ordinating our destination wedding a breeze. Sri Lanka is a wonderful place to get married. I would recommend you to any one thinking about marrying in Sri Lanka. Once again, Thank You. Hi Lucky, thanks a lot for everything you did today. You did an amazing job. I will definitely recommend you to all my friends and family !! Thank you so much mr. Lucky for coordinate our wedding so beautifully. 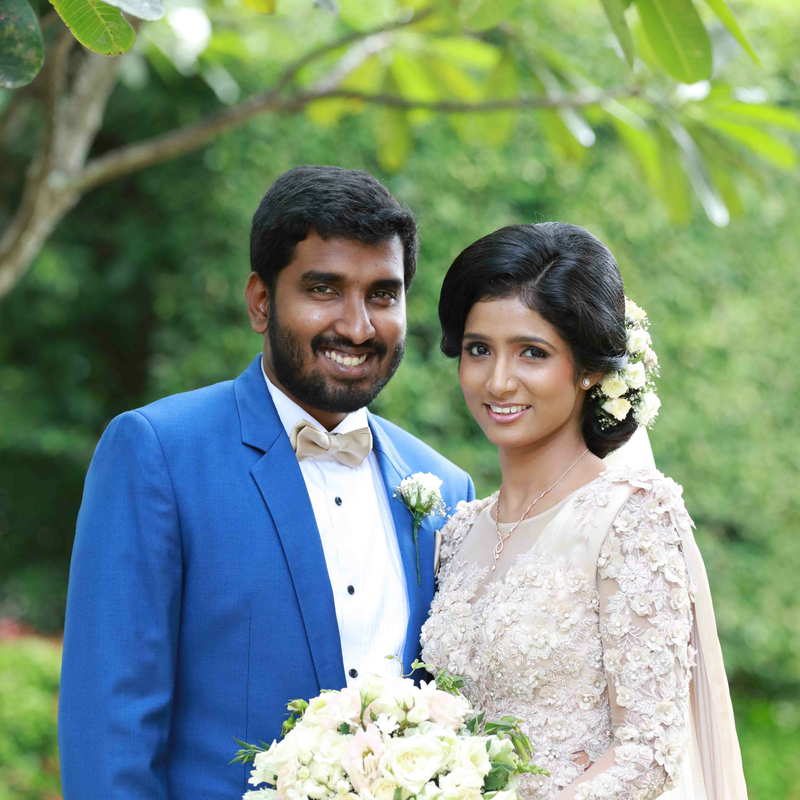 I am so happy to work with you and i will always recommend our wedding sri lanka for everyone who wants a beautiful well coordinate. I am extremely happy to provide feedback on the wedding event in sri lanka which was managed by Lucky and executed by his very commited and professional team. It is not that easy to rely on such an important thing to someone far far away from you, someone you have never met before. I think that's why our feedback will be very helpful to entusiasts who wiill decide going to sri lanka for wedding (as we did). Every thing was sorted out perfectly. We did enjoyed every moment of the wedding and Lucky was very flexible in the way we wanted it to be executed. Again, thanks to Lucky and his team! Thank you so much for making Amali's and Sashi's wedding wonderful. We are hoping to work with you in our future Events. Thank You !! !